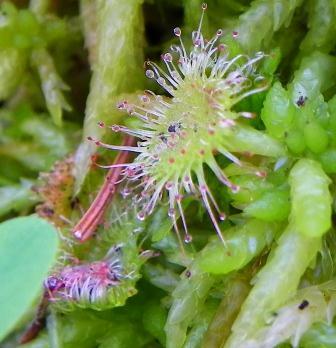 Photo Phrenzy, Part the Third: Carnivorous Plants! 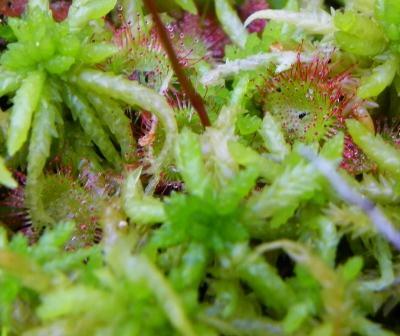 There are swamps and bogs and all sorts of wet spots full of mosses and ferns around Fish in a Barrel Pond. 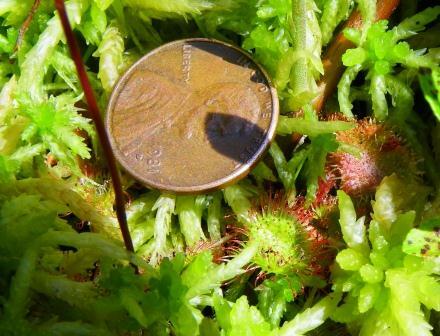 Appearing lush and green, these areas are actually highly acidic and lacking in nutrients; very challenging places to live if you are a plant. 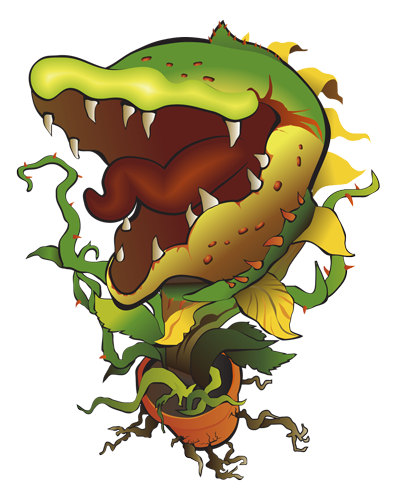 The plants that thrive here in spite of it all are able to do so because they posess special traits, and some are even able to extract nutrients from insects they capture. 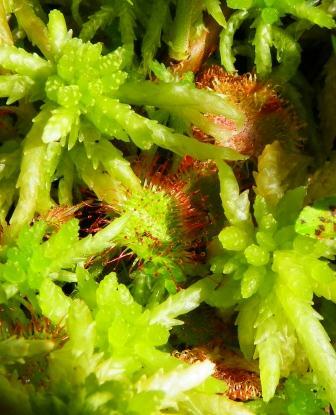 I have seen pitcher plants, deep in the bogs of Maine, and I have seen Venus flytraps in plastic cups on the counter at the local garden center but until last week I had never seen a sundew. 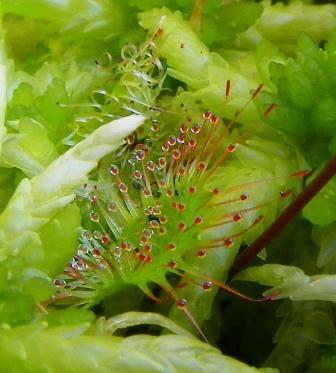 Insects are attracted by a sweet scent and become trapped on sticky hairs on the sundew’s leaves. 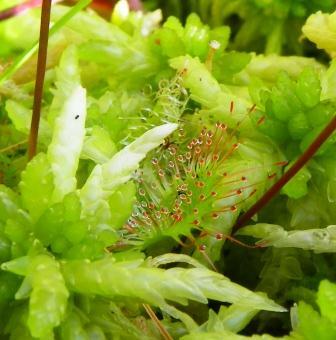 The leaves then slowly curl around the prey, enzymes digest the meal, and the sundew gets what it needs to live, bloom and set seed. Gee whiz Quill, hope you did not spend the rest of the day catching bugs and feeding the plants. Seriously, great photos.